It is a popular north Indian dish especially prepared in the states of Bihar and Jharkhand. Crush Coriander seeds and dried red chilli, keep aside. Heat mustered oil in pan, add mustard seeds, let them splutter. Add onion, green chilly, curry leaves and saute for 2 - 3 minutes. Add Coriander seeds, dried red chilly mixture to the pan. 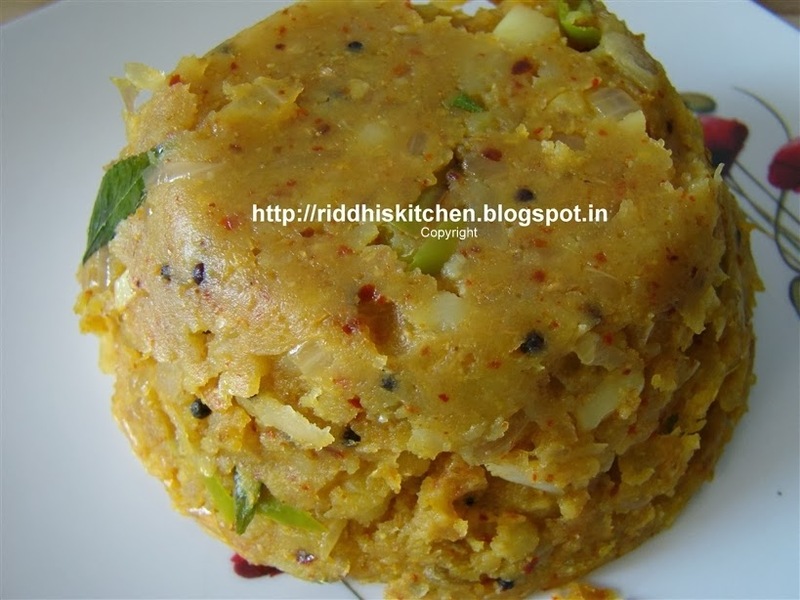 Add mashed potatoes, salt, coriander powder, cumin powder, amchur powder and mix well and cook for 3 to 4 minutes. sprinkle 2 to 3 tablespoons water, mix well again cook for 2 to 3 minutes.